In this edition, an artisan burger joint debuts this week in Oakland, a Rockridge bagelry closes its doors, and a Mexican cafe Downtown shutters after 15 years in business. As we previously reported, Roam Artisan Burgers has been working on getting its first Oakland location up and running for several months. Now, the new spot is poised to open on Friday, according to a representative. The Oakland location marks the company's second spot in the East Bay and fifth in the state. Other Northern California outposts include San Francisco, Lafayette and San Mateo. "We are excited to open in Uptown Oakland, a thriving arts and entertainment district," said co-founder Joshua Spiegelman. "We are looking forward to joining this vibrant community and serving nutritious and delicious meals." Founded in 2010, the burger joint uses sustainable meat and produce and offers customizable burgers and sides along with Straus Family Creamery shakes, house-made sodas, wine and kombucha on tap and local beers. 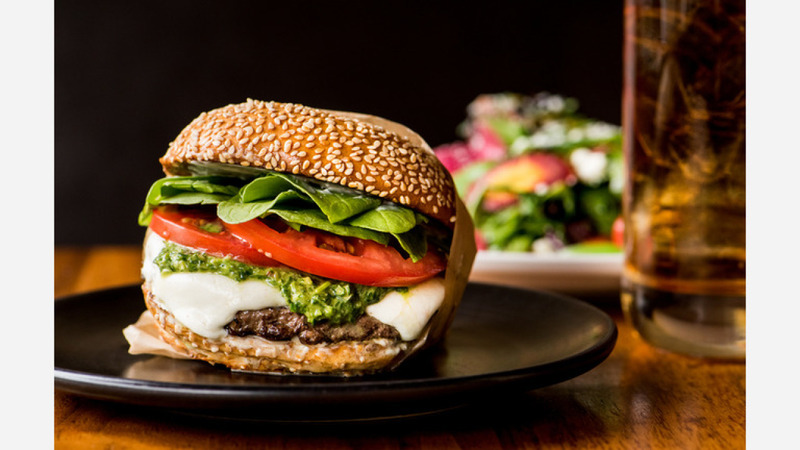 According to the spokesperson, the Oakland location will also feature a seasonal items like a "Springtime Burger" with chimichurri, fresh mozzarella, tomato, arugula and herb mayo. 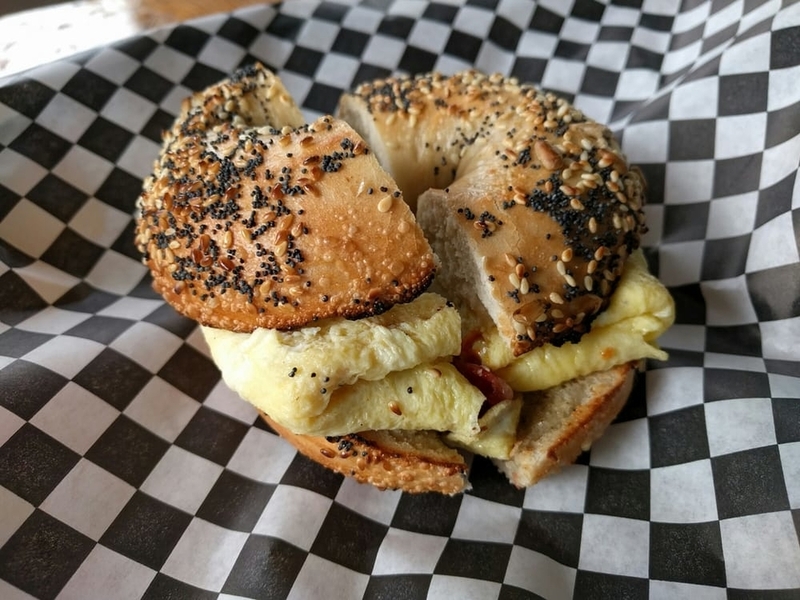 Starting Friday, Roam will be open daily from 11:30 a.m. - 10 p.m.
Hoodline tipster Adrienne D. reports from Rockridge that Old Brooklyn Bagels & Deli has closed its doors "and will be replaced by a new restaurant." We called the cafe's sister location in Uptown at 2228 Broadway, Old Brooklyn Cafe & Bakery, to learn more about the Rockridge closure. An unnamed employee told Hoodline that new owners have taken over the former space but it's not clear what will move in. The Broadway employee added that there are no plans to close its remaining location. 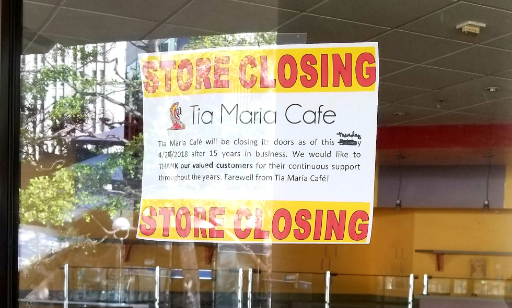 Lastly, veteran tipster Al M. reports from Downtown that Tia Maria Cafe has called it quits. It's unclear why the 15-year-old eatery closed its doors, but a note posted to the window of the business offers a farewell message to its customers. "We would like to thank our valued customers for their continuous support throughout the years," the message reads. "Farewell from Tia Maria Cafe!" As regular customer, Al said he was surprised to learn of its closure, but noted there were signs. "I started noticing that equipment and supplies weren't being replenished as usual. Then a week later, everything inside has been been cleared out." High fives all around to tipsters Adrienne D. and Al M! 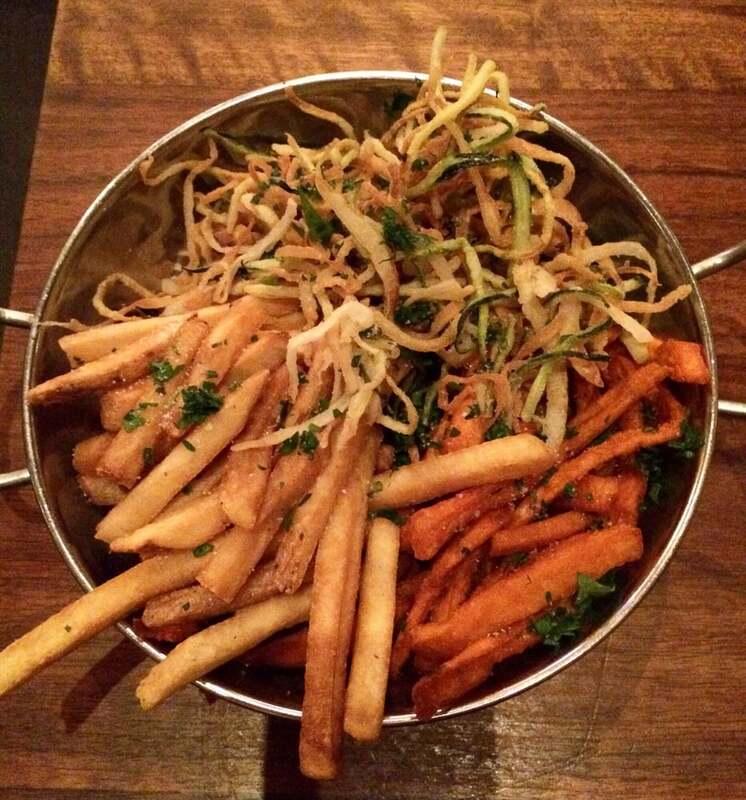 Have you noticed an addition (or subtraction) in Oakland's food landscape? Text a tip and a horizontal photo to 510-757-9959, and we'll look into it.